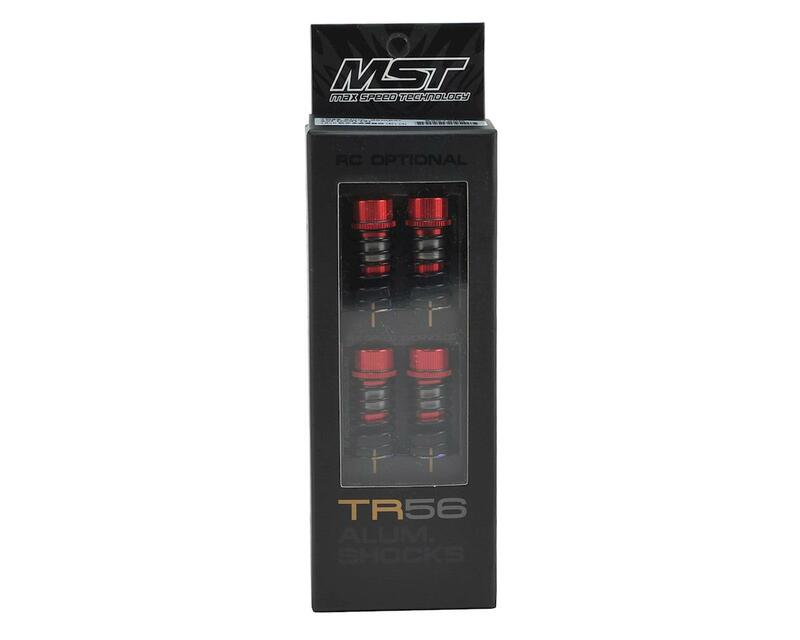 The MST TR56 Aluminum Damper Set is a precision machined shock option for any MST kit. 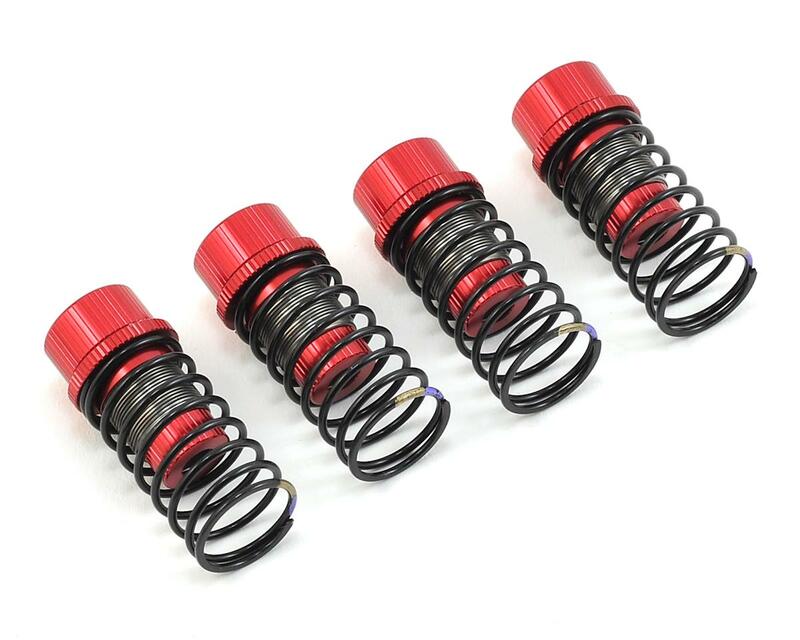 These shocks feature hard coated shock bodies with teflon pistons and shock shaft guides, combined with a nickel coated shock shaft to deliver smooth damper action and long life. 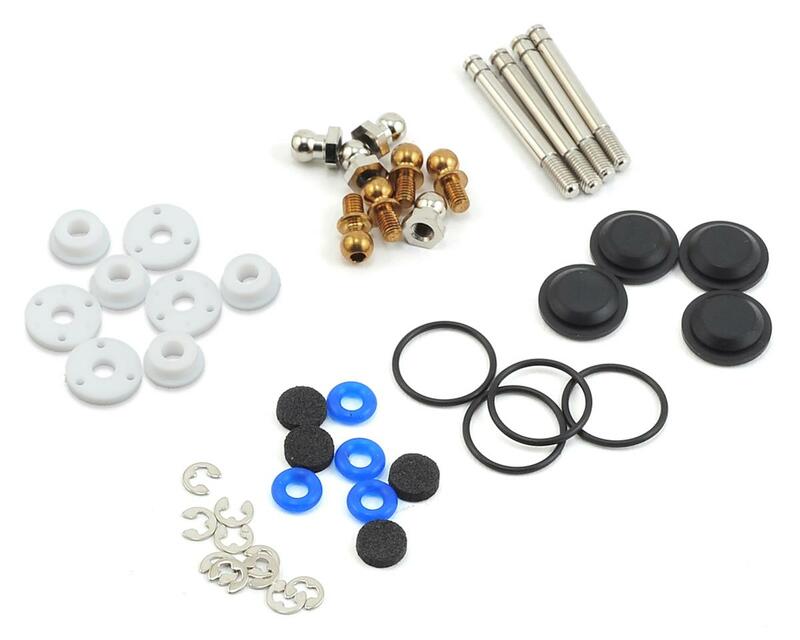 This kit includes all the parts you need to build a complete set of four shocks. It even includes the springs and shock oil! 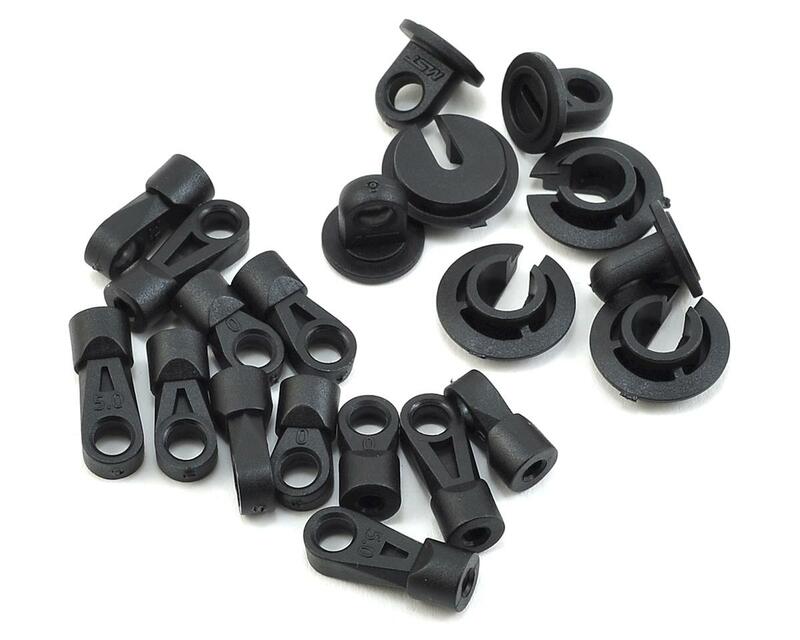 Plus, the kit includes three different length lower shock ends, allowing you to adjust the overall length of the shock between 56mm, 58.5mm or 61mm. Additionally, the shocks are available with blue, black, red or purple anodized accessories to give your ride a personalized and custom look.